Royal Shrewsbury Hospital & Princess Royal Hospital Telford – NHS Trust – Hazlin of Ludlow Ltd. This project entailed supplying phases of doors and frames working over two sites 16 miles apart all with live wards. 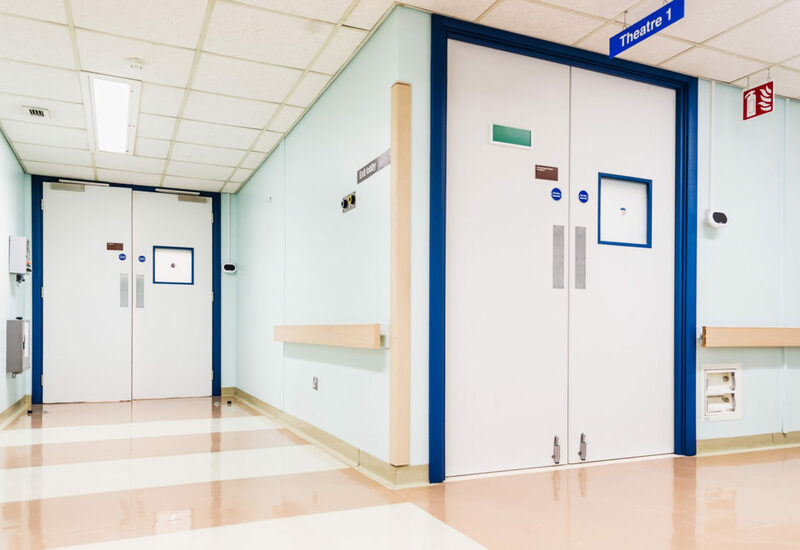 Supplying to such a sensitive environment, Hazlin worked with numerous main contractors to ensure high quality products were installed successfully with minimum disruption to staff & patients. Initially Hazlin worked directly with the client and appointed architects to develop the specification for this project. It became apparent that whilst the fire upgrade was the initial driving force, longevity & value for money was also key. 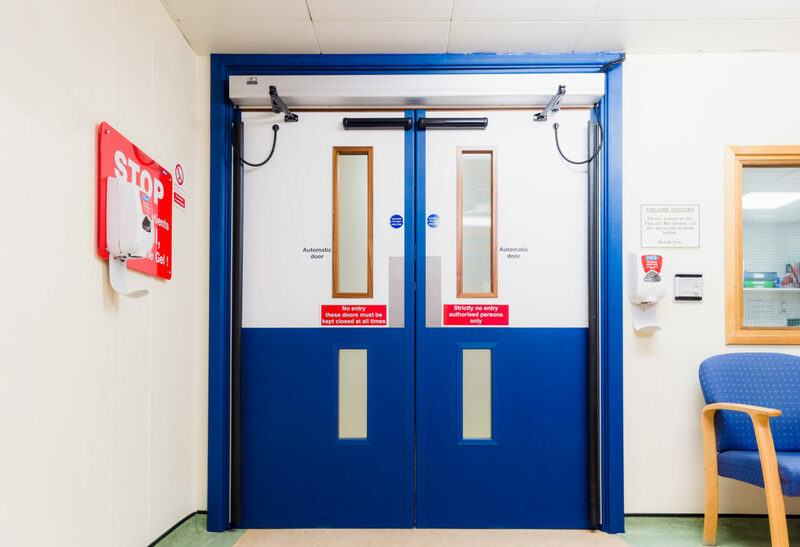 Existing doors in both busy hospitals were subject to excessive trolley damage and it was vital that the products offered could withstand this moving forward. Hazlin offered options on protection and working with the proactive Capital Projects team value engineered the scheme to deliver the solution on budget to a tight programme. 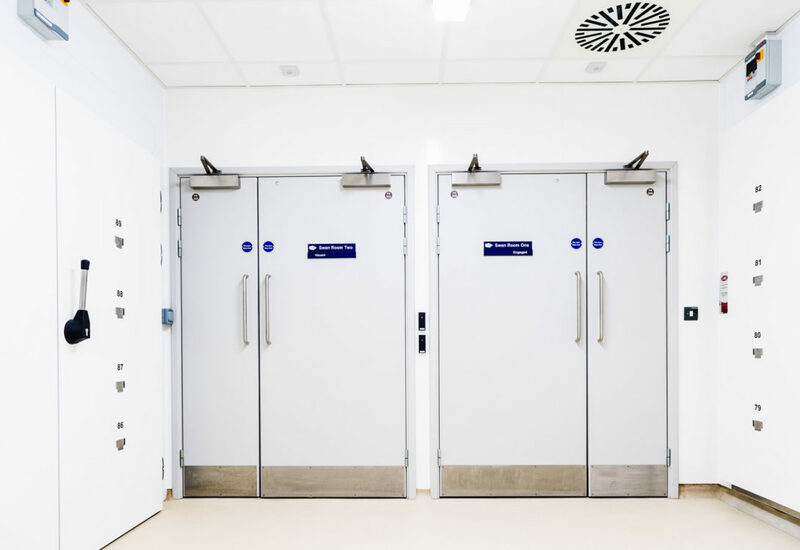 Hazlin supplied PVC fully encapsulated doors to the theatre & mortuary areas and various styles of protection (edge, trolley & including PVC wrapped beads) to our laminate doors on the ward blocks. American Black Walnut veneered doors & frames were supplied where a different ambience was required. Our Hygiene+ system was used on all exposed timber. Frames were supplied fully encapsulated to match where required with architrave & stops to match. All doors and frames were fully prepared for ironmongery. 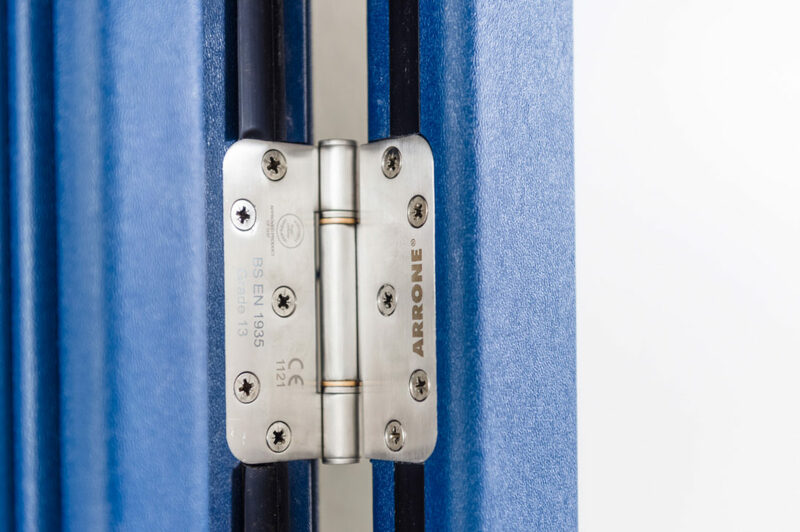 The project has been phased to suit the client and incorporated some 500no doors.